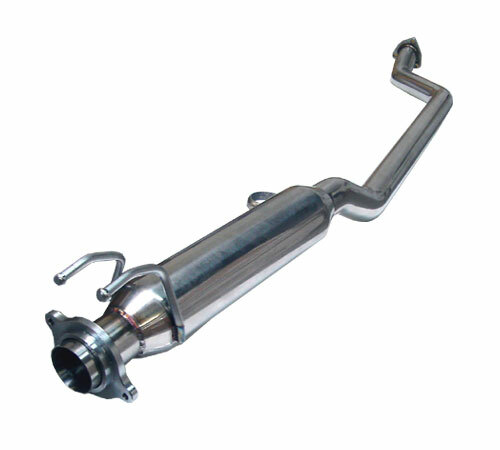 Designed as an OEM replacement this Mid-Pipe can be used in conjunction with the OEM Axle-Back section or any aftermarket Axle-Back system. The Civic Si has several tight bends and a heavy and restrictive Resonator; the Megan Racing mid-pipe is constructed of durable T-304 Stainless Steel that is lighter than the OEM piping and has smoother mandrel bends. The Perforated Core resonator is perfect for reducing noise and interior resonance without sacrificing performance while the larger 2.25" piping increases performance through-out the Mid-to-Upper end of the power band.